The Flinn Emergency Fund for Arts Organizations comprising $500,000 in unrestricted grants to 21 arts and culture organizations. Piper Trust will use the ART Fund to award two-year grants of $50,000 to $150,000. Successful projects will investigate and implement new business methods that change the organization’s business model and approach to mission to promote long-term financial stability. The grants are not intended for short-term, cash-flow needs or current core operating costs. “The daunting new arts and culture world of changing demographics and persistent economic insecurity requires arts and culture organizations to examine new ways to do business,” said Judy Jolley Mohraz, Piper Trust president and CEO. Organizations eligible for the program are Piper Trust arts and culture grantees with annual operating budgets over $250,000. The Trust will send application information directly to the 36 eligible Maricopa County organizations. Piper Trust hopes to award the ART Fund grants by mid-August. [Source: Arizona Republic (Phoenix insert) editorial board] — The gifts have been unwrapped. New year’s wishes have been sent. Holiday decorations have been taken down and put away. OK, maybe that last one has yet to be scratched off the to-do list. 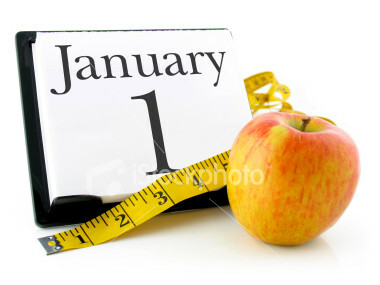 But with every new year comes vows to make it better, richer and more enjoyable than the last. With numerous job losses, mortgage foreclosures, and budget cuts in 2009, everyone should want to strive to make this year better. Today, we suggest ways to help our communities in 2010. Be a tourist. We are creatures of habit. We dine at the same places, shop at the same stores, and take part in the same weekend activities. Our continued patronage at these spots will be much appreciated. But if we lived a day or a weekend like a tourist instead of a local, what might we see, find, or learn? A visit to a museum or art gallery would open our world to arts and culture. We should treat ourselves to a meal at a special spot or make a purchase at a store. If we expect tourists to come to the Valley, visit these places and spend money, we should be willing to do the same. Shop local. We can give city coffers a healthy dose of sales-tax revenues by spending money within our municipal borders. This enables our cities to provide public safety, fill potholes, remove graffiti, rid neighborhoods of green pools, and offer recreational activities. And it keeps people employed, which churns the economy. Go green. Park the car and take the bus, light rail, or local trolley. This saves on gas and maintenance costs, and it makes the skies bluer. Plus, taking public transportation is a great way to see the city from a new perspective. Let someone else do the driving while you enjoy the ride. Be counted. Fill out the 2010 Census questionnaire. The census helps the federal government determine how to allocate $400 billion to cities to fund services and programs. This includes public safety, parks, libraries and senior centers. Don’t think skipping the census will save the federal government money. Census workers will go to your home or talk to neighbors to gather the information they need. Without an accurate count, the money that should have gone to your city will be diverted to municipalities where residents filled out the questionnaires. Look for your questionnaire in the mail this spring. Stay involved. Political shenanigans and extreme budget cuts in 2009 made citizens more aware of governmental operations. Taxpayers must stay connected. Attend council meetings, volunteer in the classroom, and vote for the candidates who will best represent your interests on the city council, school board, and Legislature. 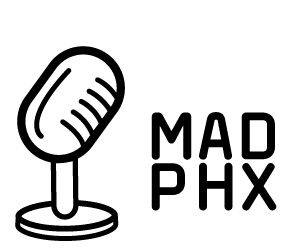 MADPHX is a periodic podcast about the issues being faced, and the progress being made, by the maturing creative class in the Greater Phoenix metropolitan area. The show is hosted by passionate local residents Derek Neighbors, Bully Bjorn, Nina Miller, Jose Gonzalez, and Mark Dudlik. They discuss personal projects, general community issues, entrepreneurship, volunteerism, social networking; and how each of these are helping make a dent in the old machine in order to create a new and more vibrant one. Their first podcast aired January 4. [Source: Catherine Reagor, Arizona Republic] — Metropolitan Phoenix’s population has remained basically flat since 2007. That calculation will generate its own set of questions in an area with an economy based on growth. At the same time, it may be the first accurate estimate of population growth here in years. This latest population estimate is the conclusion of an 18-month analysis by more than 30 of the state’s top economists and business and government leaders, who are trying to fix Arizona’s method for tracking population. Their report, “Influx/Outflux: Metropolitan Phoenix,” was presented Tuesday at an Urban Land Institute Arizona meeting. Problems with the formula used to track the number of people moving in and out of Arizona in recent years led to inflated population figures. This exacerbated shortfalls in a state budget built on sales-tax projections. [Source: Catherine Reagor, Arizona Republic] — Valley homeowners have watched their property values plummet with a sense of shock and horror during the past year. But the gut-wrenching drop could be over as early signs of the market finally hitting bottom have appeared in some areas. On Sunday, The Arizona Republic’s latest Valley Home Values report will show prices dropped in every Phoenix-area ZIP code during the first eight months of 2009. A closer look at the numbers, though, reveals newer communities on the outer edges of metropolitan Phoenix are seeing smaller declines in home prices this year compared with 2008. Those areas, including neighborhoods in Buckeye, Gilbert, Queen Creek, and Surprise, were the first to experience the housing market’s collapse. Those former housing hot spots could be the first to recover. [Source: Shaun McKinnon, Arizona Republic] — Heat discriminates. Phoenix’s sweltering summer inflicts the most misery and illness in poor neighborhoods, a new study shows, and among people least able to protect themselves from the elements. Conditions in those neighborhoods, with their sparse landscaping, high-density housing and converging freeways, create pockets of extreme heat that persist day and night. Inside, homeowners sometimes can’t afford to turn up — or even turn on — the air-conditioner. The disparities present threats more serious than just discomfort on a hot day, according to the study, produced by Arizona State University researchers. Prolonged exposure to heat can cause illness or even death. The densely developed nature of the hottest areas also means more of the people most vulnerable — the elderly, children, the homebound — live in the neighborhoods where the risk is greatest. [Source: London Telegraph] — Metro Phoenix at night from space: photographed by NASA astronauts on the International Space Station. [Source: Kerry Lengel, Arizona Republic] — There’s no point in soft-pedaling it: The great financial panic of 2008-09 sent Valley arts organizations into a tailspin. Cautious consumers sat on their wallets instead of opening them up at the box office, and big corporations had less cash to send trickling down to the non-profits. So performing companies canceled shows, slashed production budgets and cut staff. MyArtsCommunity.org, a high-profile campaign to raise donations, fell flat. The latest bad news comes from the West Valley, where the Heard Museum plans to shutter its satellite gallery and the West Valley Art Museum has closed its doors while scrambling to raise $150,000 to keep it afloat. Up-and-coming companies: Arizona Opera and Ballet Arizona remain strong, but they are no longer the only game in town. The upstart Phoenix Opera has brought in top-notch singers for two years of traditionalist stagings, while Novaballet, entering its second season, is committed to cutting-edge choreography that brings dance into the 21st century. Investments in venues: The building boom that gave us new performing-arts venues in Mesa, Tempe and Peoria isn’t over. The Scottsdale Center for the Performing Arts and the Herberger Theater Center are undergoing extensive renovations, while future projects, including an expansion at Phoenix Theatre, are in the works. The economic downturn is sure to slow the pace of big capital projects, but the momentum hasn’t been lost. Fresh blood: The Scottsdale center’s rebuilt theater comes with a new artistic director, Jeffrey Babcock, who promises to reach out to a broader audience with splashy events, such as its first Festival of Latin Jazz & Culture. New leadership always presents an opportunity to rethink ways of doing things, which means we could soon be seeing innovative programming at the Scottsdale Museum of Contemporary Art, ASU Art Museum and Heard Museum: All are on the lookout to fill director positions this year. Experienced leaders: Shaking things up can be good, but there’s also something to be said for a steady hand on the tiller. That’s what many major companies have: savvy executives with track records for success. At the Phoenix Art Museum, Jim Ballinger has been in charge since 1972, growing it into a multimillion-dollar company that attracts well over 200,000 visitors a year and overseeing two major expansions. On the artistic side are such leaders as Ballet Arizona’s Ib Andersen, a Balanchine protege who in 10 years has elevated the company to one of the most respected ballets in the country. International networking: The arts community forms a web that crosses all borders, and some of the greatest performers in the world are Arizona-bound this season. There’s the incomparable cellist Yo-Yo Ma, of course, at the Scottsdale Center for the Performing Arts, which also will host top dance troupes, including the pioneering Paul Taylor and Martha Graham companies. Then there’s the conducting world’s biggest superstar, the charismatic Venezuelan Gustavo Dudamel, who will bring the Los Angeles Philharmonic to Phoenix’s Symphony Hall for a performance that’s sure to be a highlight of the season.